Martin graduated with a BSc. Technology in Chemistry from Kyambogo University Uganda. Martin worked briefly with the University before embarking on a 4 year stint in China where he attended China University of Geosciences graduating with a Master's of Engineering in Mineral Resource Prospecting and Exploration. Martin has a passion for mineral exploration and processing, this is a testimony of his home town of Kasese which is endowed with many minerals and is considered Uganda's mineral hub. Martin is aiming at discovering Uganda's jewels and rare earth minerals and believes Chenshia will soon be a household name in Uganda. Martin is an ambitious person and solving problems is a major part of his life, and hence he spends most his day reading and searching solutions. He is simple, calm, friendly and lives a modest life. Behind this lies a great love for playing soccer and dancing to Music. 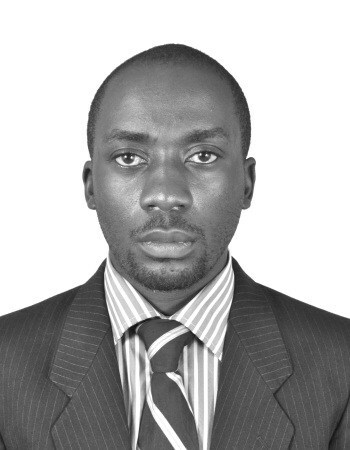 Martin has a passion for teaching and has been lecturing Chemical engineering at two of Uganda's top universities. Enjoy life whenever you can because we are only here a short time and letting life slip by without enjoying it is a waste!